Order Ritchies Shrink Capsules Gold x30 from the Stirling Homebrew Shop UK. Buy Ritchies Shrink Capsules Gold - 30 pieces and other Homebrew Accessories safely online in the UK. Use shrink capsules to create a professional finish. For making wine at home! Gold shrinkable plastic bottle capsules. Use shrink capsules to create a professional finish. For making wine at home! Picture is not actual size. Important Note: Before use (or consumption if applicable) please always check the label/leaflet/manual of the product for allergens! As official Ritchies stockist in the UK, we sell genuine Homebrew Accessories to customers throughout the UK in England, Wales, Scotland and Northern-Ireland. Ritchies support customers with Home Brew Products for beer making, wine making and cider making as well as marketing and product samples to support your business. View more products on the Stirling Homebrew Shop from Ritchies. 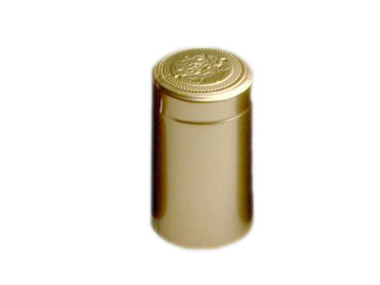 Where to buy Ritchies Shrink Capsules Gold x30 safely online? Shop at the Stirling Homebrew Shop if you are wondering where you can buy Ritchies Shrink Capsules Gold - 30 pieces safely online in the United Kingdom. Our Homebrew Shop is located in the UK and our independent store has been serving customers in England, Wales, Scotland and Northern-Ireland since 1976. You can buy our Wine kits, beer kits and Homebrew accesories and other genuine Homebrew Accessories online and we post out orders to any UK address. Shrink Capsules Gold x30 - Ritchies Shrink Capsules Gold - 30 pieces in Homebrew Accessories and Homebrew. Serving customers throughout the UK in England, Wales, Scotland and Northern Ireland.